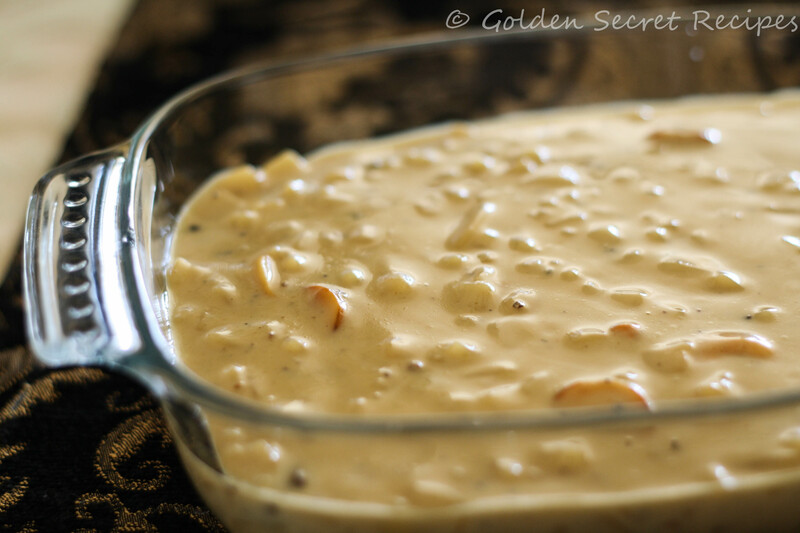 Any Kerala Sadya/Feast is incomplete without a payasam/kheer. Semiya/Vermicelli or rice payasams are more common variety which you can find in most part of India. But as the name suggests, Ada Pradhaman is the king of all payasams and if I am not wrong, a signature dish you will find only in Kerala 🙂 So you might ask, what does it mean afterall!! Well, Ada is nothing but thin flat rice cake. That’s the best definition I can come up with. In olden days, everyone used to make Ada at home. Though I am not very sure about the recipe now, I am sure it is an easy thing to prepare 😛 Traditionally it is made by steaming the batter/flour wrapped in a banana leaf. But these days, its easier to buy it from the grocery stores. You should be able to find this in the same section as Vermicelli. So now you know what Ada is. Pradhaman in Malayalam means ‘the First’ or ‘Foremost in position’. So it translates to being the foremost among payasams. 1. Bring 2 cups water to boil. Add 1-2 tsp of ghee to the water. This will prevent ada from sticking to each other. Add ada and boil it in medium high flame till the ada gets soft. Stir occassionally. It will take about 15-20 mins for the ada to cook well. I had crushed the ada using a pestle and mortar to make it look uneven and small. That is just my preference. You can use the ada as is. 2. Running cold water over the cooked ada also ensures that ada doesn’t stick to each other. Drain and keep aside for using later. 3. Meanwhile, heat ghee in a sauce pan. Add half sliced cashews and sauté till they become light brown. At this time add the raisins and fry till raisins are blotted. If you are using coconut slices, fry the coconut slices till it turns brown. Transfer the fried cashews, raisins and coconut slices to a plate for using at a later time. 5. 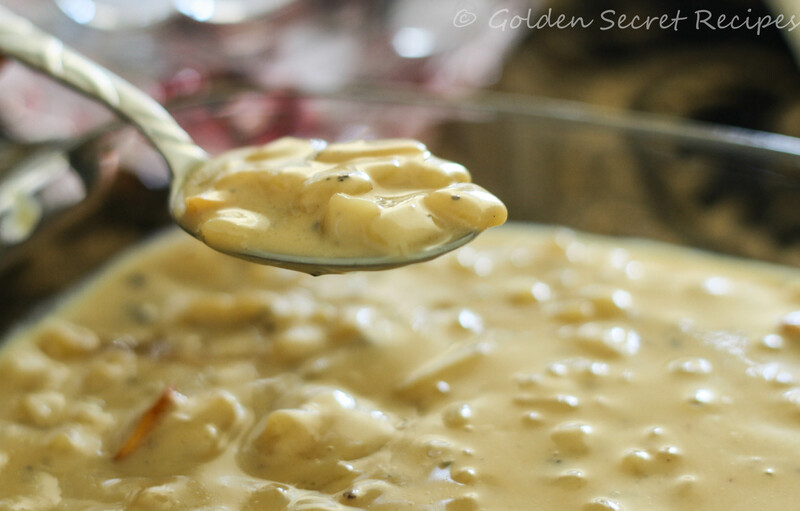 Once jaggery melts, add thick coconut milk to it and stir well. Once you pour the coconut milk, cook in medium flame and stir often. Otherwise the coconut milk might split. 6. Add the cooked ada to it and stir well. Add cardamom powder, cumin powder and dry ginger powder now(I used only cardamom powder). Bring it to a thick consistency by stirring frequently for about 10 mins. 7. Once done, add the fried coconut slices, cashews and raisins. Serve hot/chilled. 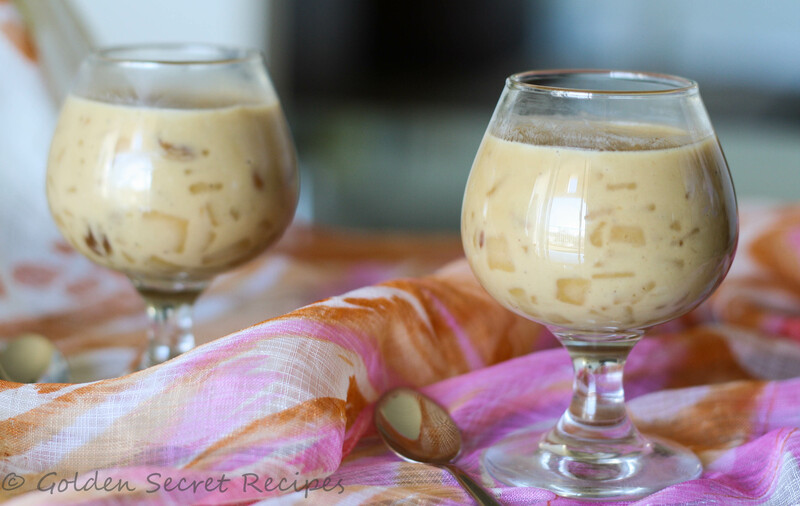 This entry was posted in Sadya Vibhavangal, Sweets 'N' Dessert Corner and tagged ada payasam, ada payasam recipe, ada pradaman, ada pradhaman, ada pradhaman recipe, brown ada payasam recipe, kerala brown payasam, payasam using jaggery. Bookmark the permalink. what is ada? where do we get it? Hey Ajay, Ada in simple terms is flattened rice cakes..you can find them in indian grocery stores. If you dont find it, go to Coconut Hill in Fremont. You will for sure get it. It will be in the same section as vermicelli and all..